This subscription box service ships 4-5 lifestyle products, 1-2 grooming products, and the most recent copy of a popular men’s magazine each month. The brand was experiencing rapid month-over-month user growth when it needed to scale word-of-mouth. 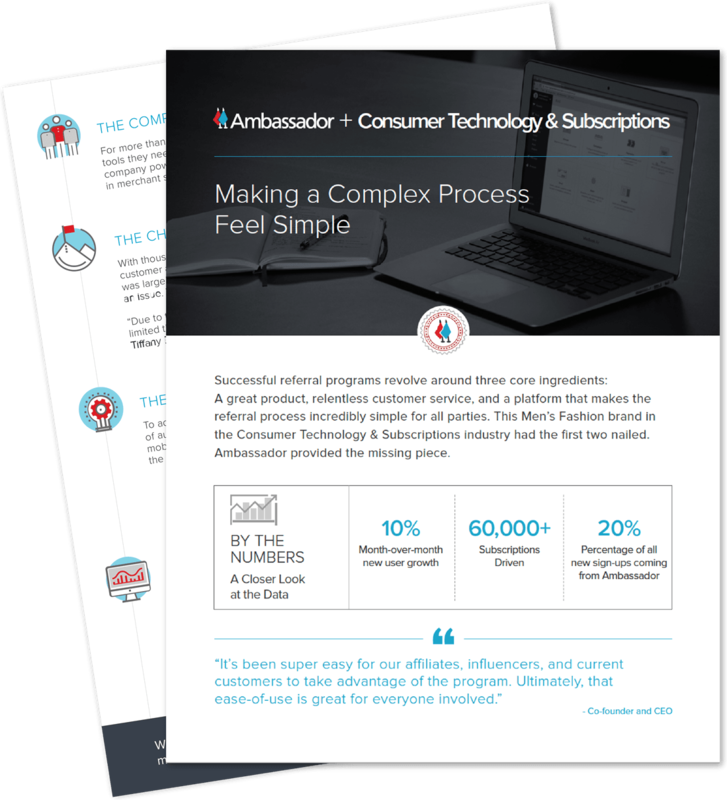 While the brand had a great product and a clear sense of what customers wanted, the lone missing ingredient was a platform that would make the referral process as simple, enjoyable, and rewarding as possible.